Double click on any part of an existing or new spread to bring up the Designer View. 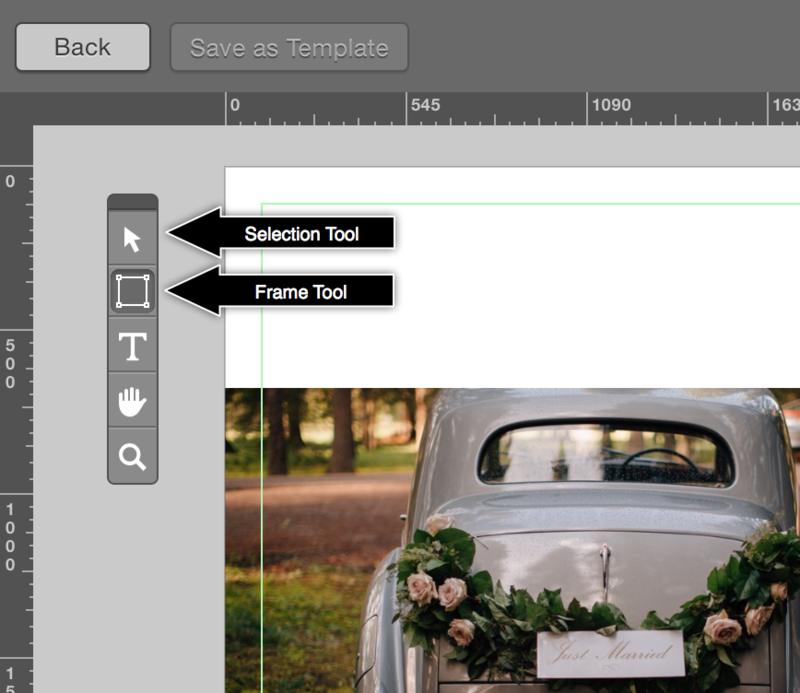 From the toolbar on the left, select the Frame Tool, and draw an empty frame onto your spread. You can now drag and drop a new image into the frame. Commit to your newly customized / newly created spread by selecting the Back button on the top left corner of the screen. This customized layout will now be saved into your template library and you will be able to access it again at any time to use in future albums.